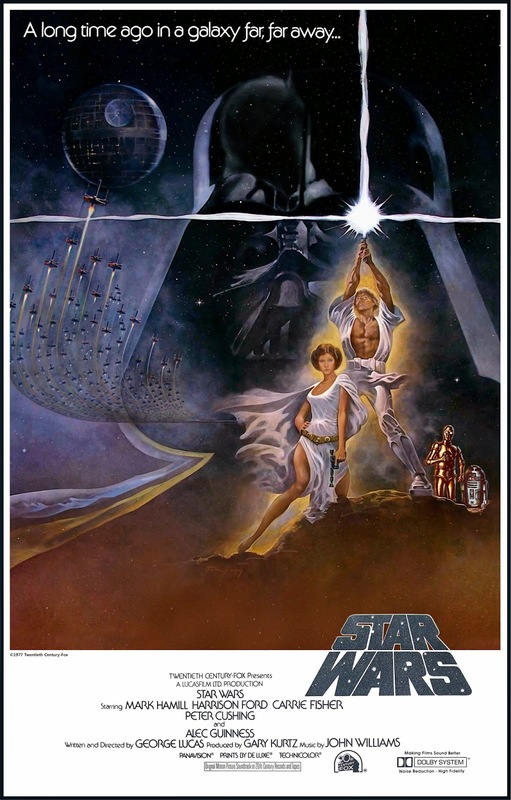 Star Wars IV - A New Hope was the first movie in the original trilogy and was released in 1977 by 20th Century Fox. One of the world’s largest producers and distributors of motion pictures, 20th Century Fox Film produces, acquires and distributes motion pictures throughout the world. These motion pictures are produced or acquired by the following units of 20th Century Fox Film: Twentieth Century Fox, Fox 2000 Pictures, Fox Searchlight Pictures, Fox International Productions, and Twentieth Century Fox Animation. Despite being a big-budget blockbuster, the creative team often built props as economically as possible. For example, the pod that C-3PO and R2-D2 use to escape in Star Wars: A New Hope was created from two paint buckets. It was only used in two shots in the movie. Ben Burtt is a Lucasfilm icon who created the many sounds of Star Wars. To research the sound of the Star Destroyer at the start of Episode IV, he had a fairly unsuccessful recording expedition to White Sands Missile Range. The sound designer was invited to record a number of military and scientific rockets taking off – but the result was crackly and poppy rather than the deep, rumbling and booming rocket engine. The sounds couldn’t be used as he’d hoped. Look closely at the asteroids in A New Hope. The creative team was criticized that their asteroid designs resembled potatoes – but if you look in the far distance during Millennium Falcon chase scenes of A New Hope, real potatoes were actually used! Archivists at Lucasfilm recently discovered the original lightsaber prop from Star Wars: Episode IV. You can see the discovery in all its glory in the bonus extras from the new digital release, Star Wars: The Digital Collection. What else will you discover with the new extras? Between 1975 and 1978, Charles Lippincott interviewed the cast and crew of Star Wars: A New Hope. These tapes remained lost for 40 years… Until now! You can hear excerpts from the tapes in the exclusive extras for the new digital release. A full-size model of the original Millennium Falcon design was built for the film shoot of Episode IV, but then Space: 1999 aired on television and George Lucas discovered the designs for the two main spaceships in both projects were too close. The Millennium Falcon’s original design was canned – and the designers went back to the drawing board. By the time the hamburger-shaped Millennium Falcon was ready to be built on set, budget was tight. This resulted in only half of the full-size circular Millennium Falcon being built. Han Solo’s iconic blaster was created using a Mauser C96 pistol with a silencer attached. A set decorator for Star Wars Episode IV named Roger Christian came up with the look of the perfect prop pistol. Did you know that many of the stormtroopers in the early movies shot their pistols left-handed because of the design and the way that the empty shells expel from the barrel? The design of the stormtroopers’ blasters used in A New Hope and The Empire Strikes Back was based on a Sterling submachine gun. Roger Christian discovered the inspiration behind the iconic lightsaber in the most unlikely of places. Inside a random box at the studio, Christian found a number of Graflex handles, which were from flashguns of vintage cameras from the 1940s. They became the iconic basis of the lightsaber handle in the movies. Keep enjoying the series along with these fun facts! I am loving the series myself a lot just like a small kid who is watching the series for the first time.